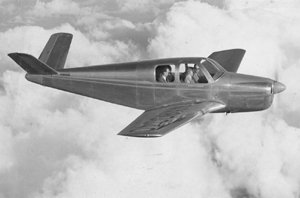 At approximately 0100 on February 3, 1959, a chartered Beechcraft Model 35 Bonanza, N3794N, crashed approximately five miles northwest of the Mason City Municipal Airport, Mason City, Iowa. The flight destination had been planned to be Fargo, North Dakota, an air distance of approximately 300 miles. The pilot and three passengers were killed and the aircraft was destroyed. The aircraft took off into deteriorating weather, with light snow beginning, a falling barometer, and lowering ceiling and visibility. After initially heading south, the airplane turned to the northwest and climbed to an estimated altitude of 800 feet. Just prior to the crash, and from a distance of about five miles, a witness observed the tail light of the aircraft begin a gradual descent until it disappeared. Subsequent attempts to contact the airplane by radio were unsuccessful. The wreckage was found in a field later that morning. The Civil Aeronautics Board determined that the probable cause of the crash was, "the pilot's unwise decision to embark on a flight which would necessitate flying solely by instruments when he was not properly certificated or qualified to do so. Contributing factors were serious deficiencies in the weather briefing and the pilot's unfamiliarity with the instrument which determines the attitude of the aircraft."